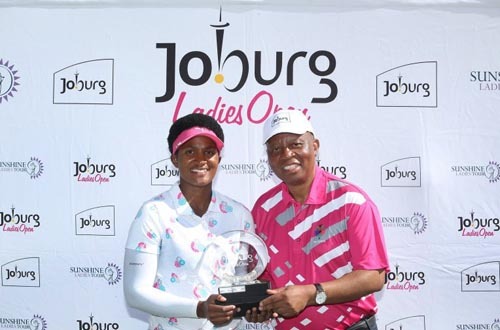 Three-time Sunshine Ladies Tour winner Kim Williams was in familiar territory after a four-under-par 68 earned her the first round lead in the SA Women’s Masters on the south coast of KwaZulu-Natal. Williams eclipsed fine efforts from Norway’s Mariell Bruun, Laura Fuenstueck of Germany, Jamila Jaxaliyeva from Kazakhstan and compatriot Lora Assad as she raced to a two-shot lead at San Lameer Country Club on Thursday. Williams teaches full-time at Centurion Country Club and a below par start to the 2018 season was expected after 12 months away from competitive golf, but the former number one ranked amateur signalled a return to form with a top five finish in the Dimension Data Ladies Pro-Am last Sunday. With the greens receptive after 40mm of rain overnight and the weather sunny and warm, Williams made the most of an early start to fire at the flags. She racked up four birdies in her outward loop and she wasn’t the only one cashing in. Nineteen players in the field of 78 dipped below par through the first nine holes, however, a strong Westerly wind put the brakes on the birdie fest and a big dent in the red numbers. “It was tough to play the two-to-three club wind and keep a clean card. I parred the first six holes, had a soft drop at seven and then nearly holed out at the ninth. The hole was playing 145 metres downhill with the wind helping from behind. 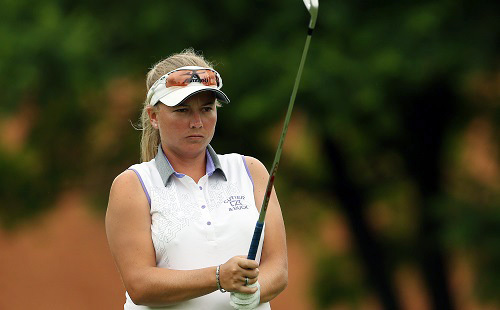 Ladies European Tour Access Series player Bruun made a solid start with a tie for 14th in the Joburg Ladies Open and sealed a joint 16th finish in the Cape Town Ladies Open. 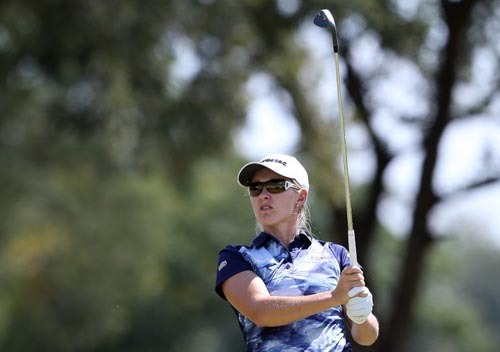 She contracted food poisoning during the Dimension Data Pro-Am, but rallied with a final round 74 at the Outeniqua course to close out a top 10 finish. The Norwegian was feeling confident after stepping off the San Lameer course in joint second. Second-season professional Ivanna Samu held a share of the lead after she eagled the par four 12th and birdied 13, but the 19-year-old dropped 14 and finished with a triple bogey seven for a 71. The chase for the leading amateur prize – the Jackie Mercer Trophy – got off to a fast start. Scottish Golf Women’s National Squad members Shannon McWilliam and Gemma Batty carded rounds of 71, while 2017 champion Woo-Ju Son finished a further shot back alongside fellow GolfRSA Elite Squad member Zethu Myeki and Swiss amateur Azelia Meichtry.